Note: No word on pentaband availability, but given that the device will work on more than 200 carriers and previous Nexus devices have all offered T-Mobile compatibility, we’re hopeful. Wow what a great price! May have to buy this and switch to the Tmobile value plan! If you will switcht to Tmobile make sure you buy NExus 4 from Google Play. It is cheaper than Tmo website. $299 that’s priced low enough to reconsider buying a LG. David, on Engadget they state that TMobile will be carrying this device. Can you confirm? I’d love to get it, but I hate LG. I’m torn. I’m in the same boat buddy. Had two different LG phones and they were great for about a week. Then the more I used them the more little quirks and bugs they would have that no other android phones seemed to have. I’ll stick with my Galaxy Nexus, its the most stable phone I’ve ever had. Only thing that I don’t like with it is its tiny speaker. Oh hell, I might sell my HTC One S get me one, I’m not too excited about the camera tho. I mean I love the camera on my phone. It is. I love it, I just really fell like I need a 4.7″ screen.I don’t have massive hands, but my fingers aren’t skinny either. I had a Galaxy Nexus before this, but it got stole in the middle of a car accident aftermath. & that’s one thing I really loved about the Nexus. That’s my only itch with it. YEAH BUDDY. LG Nexus for $199 w/contract on t-Mobile! Don’t use a 2 year contract for that. A 16gb at google store is $349 a diff of $150 or a 8gb is $299 a diff of $100. Do the Math first. T-mo will have the 16gb version for 199 on 2 year contract! Confirmed!!! just got an internal message!!! Premier U.S. Carrier is T-Mobile! Can’t see the $200 T-Mobile being an option for anyone who simply can’t afford the additional $150. Through the Classic plan, they will end up paying $480 ($20/month x 24-months), additional $330 instead of buying it outright. T-Mobile should offer this phone for FREE and still make about $130 for their customer. But it will undermine their other offerings, including SGS3 and One S.
hmm, will the TMO version have wifi calling capabilities? will that or carrier locked delay future updates (aka current nexus CDMA versions). Oh yea. My next phone!!!! Throwing this G2X in the trash soooo fast! Don’t throw it away, donate it to me =P. Does it have a micro-SD slot? That’s what I would like to know. If so… I’m sold! no sd slot. nexus has not had one since the nexus one. Damn,m Google did it again, another bang for your buck, best deal in Android, great phone, sad to see the Galaxy Nexus go away, i’ll hold onto mine for another year. If the battery is “embedded” (not replaceable) the battery life better live up to those extremely optimistic looking specs! despite the disdain for LG phones by most, it’s Nexus .. pure Google experience .. their first right? so should i expect the horrible LG history to stop with this phone? it’s looking like my first Nexus if so. Same, never gone close to an LG, what should we expect? or just ignore because it’s a nexus? How the hell can they throw all those great specs at this phone and leave out what I consider one of the most important elements, (int storage). Completely ridiculous. I like to keep my music and a few great movies on my phone all the time just so if I am out of Carrier reach so I can still enjoy them. It’s great to have that on the job site during lunch or just down time. Really think Google is going the wrong way, I think I will get the Note 2 to go along with my SGS3 with 32gb of int storage and a 64gb sd card. That’s right I am a memory junkie, never have enough and I love this freaken phone. I think the Note 2 will make a great package. I have had every Google device, who am I kidding I will probably still buy it, just wish they could put together a piece of hardware that has it all, it isn’t that difficult. It isn’t about them failing. They DON’T WANT to give you a micro-SD slot. People need to understand this. Vote with your wallet. I myself don’t care for extra storage. They obviously want you to move to the cloud and stream everything. I don’t stream much, but I only need a few gigs for apps. If you use Google music and know you will be out of range, you can pin songs from the cloud to your phone so you can still listen to the pinned songs until you unpin them. That way, you only have the songs you need for that time saved on your phone and you can switch them out whenever you are connected again. 7 days ago I said “I imagine that the rumors are true about a 8gb and a 16gb. I see them selling the 8gb for $299 and the 16gb for 349.” and people STRAIGHT laughed at me. Especially @NotQuite. I am vindicated. I save my money in a hobby account to buy phones with. Most people sell their “old” phones on ebay or craiglist to cover the cost of their phones. Are you loving it? Because I sure am !!!! 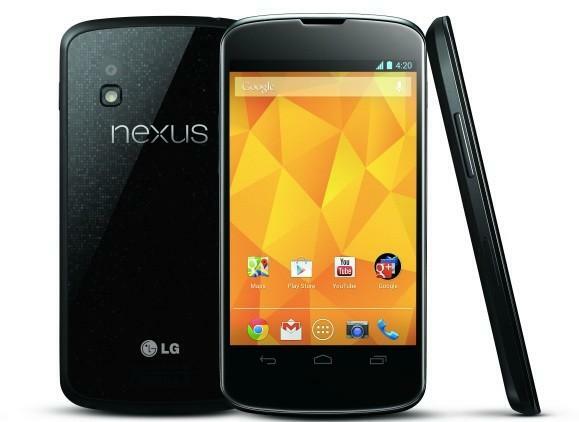 This Nexus is GREAT for enthusiast who want “pure” Google. Unless android does something SUPER HOT I am FINE with my NOTE the way it is and I can’t believe I am saying that I just love everything about this phone its so executive so corporate n regal. Yeah the way it works is you get a phone, and you save up some $200 extra. Every few months, you want to try something new, you trade up your phone or sell it, and with the money you had saved up, you can have the newest and greatest. Best Buy will give you 50% back if used for less than 6 months, of whatever the original price on the phone was . That is, get a phone on contract, let’s say the phone was free with a deal, but original price was $699. Use it for 6 months, you get $350. Now you have enough to add a little more to buy another phone, and you keep going and going…it’s a vicious cycle for those that do it. There are other ways, and most often than not Craigslist is a great place to trade phones, oddly enough. Does anyone know if u buy the tmo version of the nexus 4, will u be able to use it as a mobile hotspot for free, as u can wit the GNex? I don’t want to lose that feature by buying it from tmo. I’d buy it out right if tmo will screw with the features. So we finally get another Nexus phone with great specs & they chose LG to mfg?? After my husband had the G2X I saidno more LG crap. I want to get back to a pure OS even though I like my GS2 hardware, OS updates have made the phone a mess. How long will we have to wait for the next Nexus? i couldn’t agree more. google seems to just hook up with the lowest bidder or something. asus for the 7 inch tablet, then samsung for the 10 inch then lg for this phone. I agree. My G2X and my G-Slate were both nightmares that had me leave LG behind. This will be the first Nexus device I have not owned. From what I’ve heard, what people complained about on LG Android Phones wasn’t the hardware, but rather the software overlays on the UI, and crapware, and lack of updates. I just got a Note II from T-Mobile, and keeping it, but my wife is looking into new phones, and at $300 without contract extension, with all those specs AND the newest and greatest OS, with first dibs at updates? my wife would be thrilled, without breaking the bank. The G2X and G-Slate were two products I was really looking forward to, but I wasn’t on T-Mo then, and by the time I got into T-Mo they were in the lower side of the spectrum (G-Slate unavailable for purchase), or other newer things had shown up. The looks of the G2X were pretty good, too, and the specs were not bad at all for its time. But it wasn’t a “nexus” phone. I hope there will be cases and screen shields available at the play store by 11/13…i don’t want any scratches on my brand new spanking N4. Or hopefully N4 cases & screen shields from Amazon and other accessory outlets. I believe Google had some cases for the Nexus 7 when it came out. Hoping they do the same for the N4! Next purchase: PhantomSkinz full body protection! NEVER EVER will I purchase another product from LG after the G2x debacle. If LG and T-Mobile cared about their customers they would offer a subsidy to G2x owners to attempt to win back some of their loaylty. I thought I would wait until T-Mobile rolled out LTE before considering a switch to Verizon, but I really can’t stand another month of the G2x. I don’t mean to hate, but to charge $400+ for a phone the barely works as a basic phone much less a smart phone is simply inexcusable. Really excited about the specs, but am I the only one that thinks this phone is ugly?